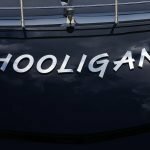 With her black hull and silver coach top, HOOLIGAN is a real head turner and will make for a truly memorable charter experience in The Balearics. 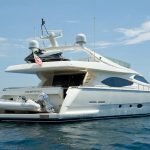 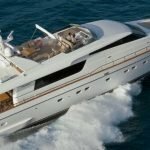 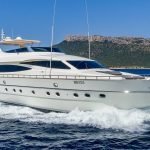 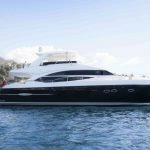 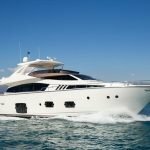 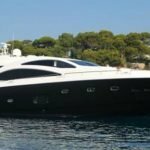 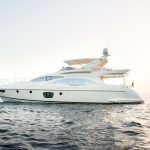 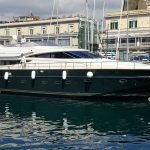 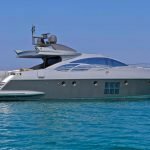 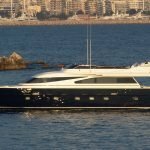 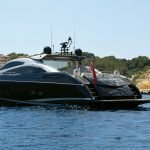 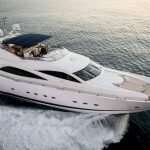 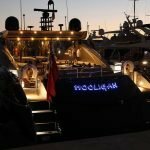 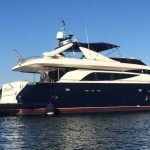 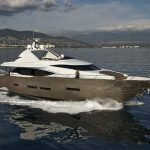 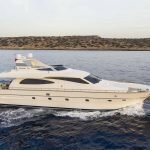 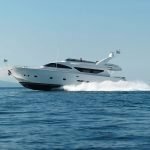 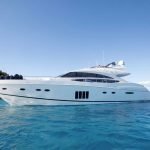 Built in GRP by UK yard Sunseeker International, HOOLIGAN was delivered in 2007 as a Sunseeker Predator 82 model and has been regularly upgraded since, including a refit in 2017. 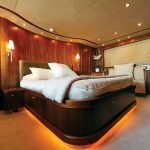 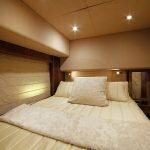 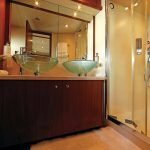 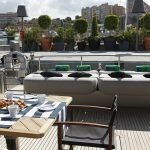 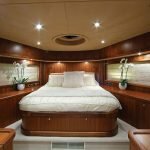 A modern, fresh interior in satin walnut has accommodation for eight guests in four cabins laid out as a full width master suite, forward VIP suite and port and starboard twin cabins, all with entertainment centres, television screens and en suite bathroom facilities. 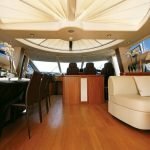 In addition, there are quarters for four crew. 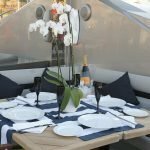 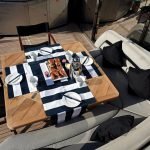 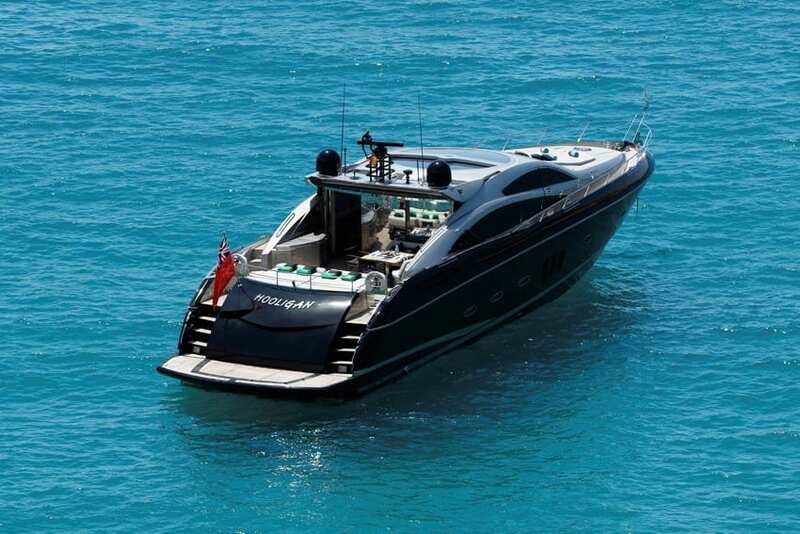 Her large aft deck includes a beautiful seating area and a twin staircase leading down to the swim platform. 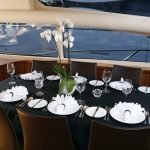 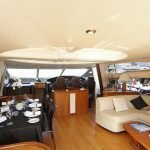 The large salon and galley are luxuriously appointed and all accented with the signature Sunseeker style. 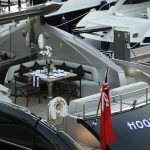 The aft cockpit area can be reached through large patio doors from the expansive saloon and has numerous seating areas, a barbecue, Bose stereo surround sound speakers and a full wet bar for al fresco entertaining. 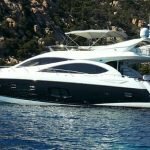 Comfort here in all weathers is assured by an electric aft canopy HOOLIGAN also includes a secure garage for a jet ski or tender with a hydraulic bathing platform which could also accommodate a tender. 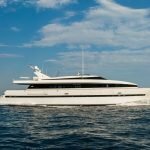 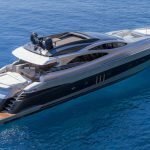 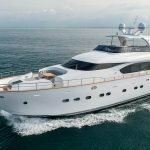 The centrepiece of this yacht has to be the hard-top on the upper deck – a unique rotating glass sunroof adding more light than ever. 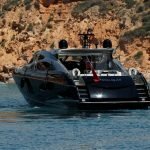 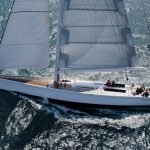 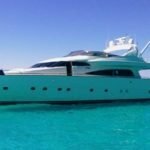 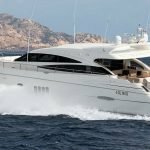 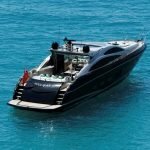 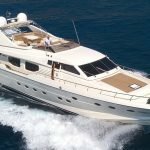 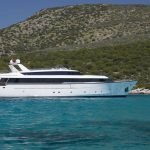 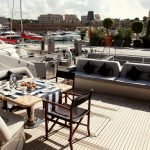 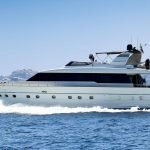 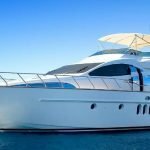 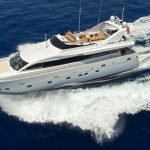 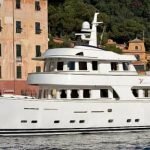 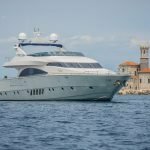 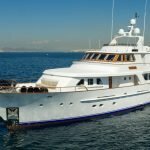 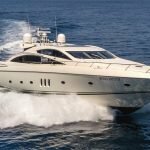 This yacht reaches blistering top speeds of 35 knots which makes her the perfect yacht choice for island hopping in style. 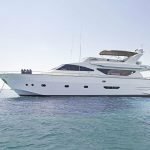 Anchor up, dive off the large swim platform and enjoy snorkeling and watersports in the warm Mediterranean sea. 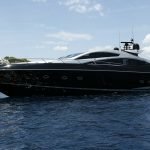 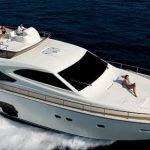 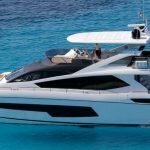 The 82 Predator is without doubt one of the most successful Sunseeker models ever built, a true Predator with striking lines that are instantly recognisable from ever angle.